Lately, the first priority around here has been lumber: milling, stacking, cataloging, re-stacking and relocating lots of lumber. 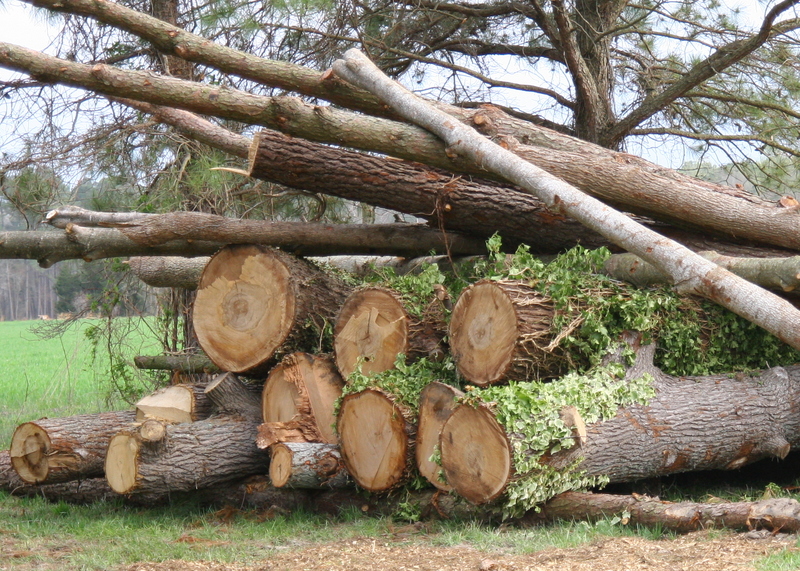 Since making friends with a local tree surgeon, M has been receiving calls multiple times times each week to salvage gigantic logs which are the remnants of stately generations-old trees gracing estates around the Eastern Shore. Typically these trees have been scheduled for removal by the owners because they threaten to fall down in a storm or they are encroaching on buildings, etc. In any case, it’s incredible to see these big logs — some 3 or more feet in diameter — sliced open, exposing swirls, stripes and curious knots formed decades ago. This is only the first few loads of logs…we now have about 5x this many logs stacked and waiting to be milled. These logs weigh tons (no joke), and require some fancy maneuvering with the forklift to position them just right onto the sawmill. Then, to lift off the slices is a two man job…sometimes it’s all we can do to push the slab onto the forks of the forklift as they are too heavy to lift. And here is the most exciting part (for me): I have invented a catalog system to keep track of each board we mill. We number every slab, and inventory them so that we know which piece corresponds to its neighbor, allowing us to bookmatch the slabs. Hooray for spreadsheets! “Bookmatching” is the practice of matching two (or more) wood surfaces, so that two adjoining surfaces mirror each other in appearance, thus giving the impression of an opened book. 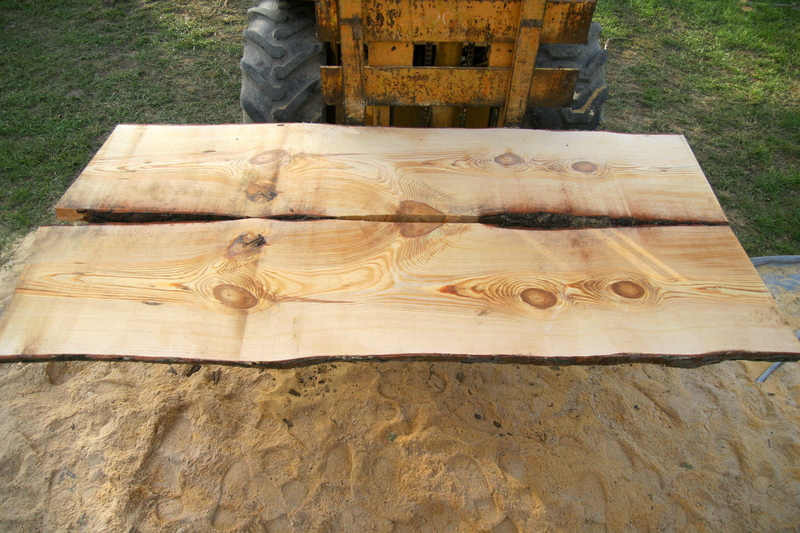 Basically, when one slice is cut from the log, the segment directly below it will have a continuation of the same grain. When you pull the one piece off, turn it open as if turning a book page and lay it next to the other the figure of the wood pattern is continuous; mirrored. This technique is used often on table tops and looks really slick. Love your blog entries. Great photos and good progress on garden, wheat, milling the logs, etc. And WE WILL SEE YOU in only 4 weeks!!! Love Dad. E.
These photos are so cool, and you are getting so much out of your efforts- it is wonderful that you see the beauty of the wood. GORGEOUS!!! Can’t WAIT to see what you do with them!! That is really interesting! Glad I am not helping though with the lifting and positioning! I would never be able to walk again! LOL! Can’t wait to see pics of the beautiful furniture Mark will make!! !